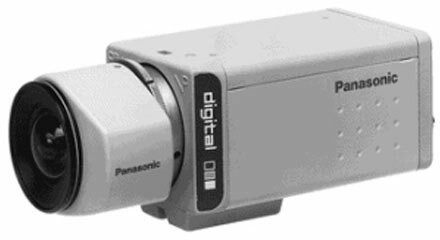 Through 1/3" CCD digital signal processing WV-BP330 Series Panasonic presents cameras that deliver outstanding high-quality pictures as well as versatile digital functions and system integration capability. Panasonic WV-BP330 Series cameras are capable of delivering exceptional high-quality images with the help of 1/3" interline transfer type CCD with 380, 000 pixels. They incorporate versatile digital functions and system integration capabilities. They provide an excellent 570-line horizontal resolution and signal-to-noise ration of 50 dB and achieve high sensitivity of 0.008 fc (0.08 lux) at F1.4. The 1/3" CCD Digital Signal Processing Black and White WV-BP330 Series cameras offer advanced performance and expanded flexibility, the WV-BP330 Series cameras meet you specific needs at an affordable cost. The Panasonic WV-BP334 is also known as PAN-WVBP334	or WVBP334	.